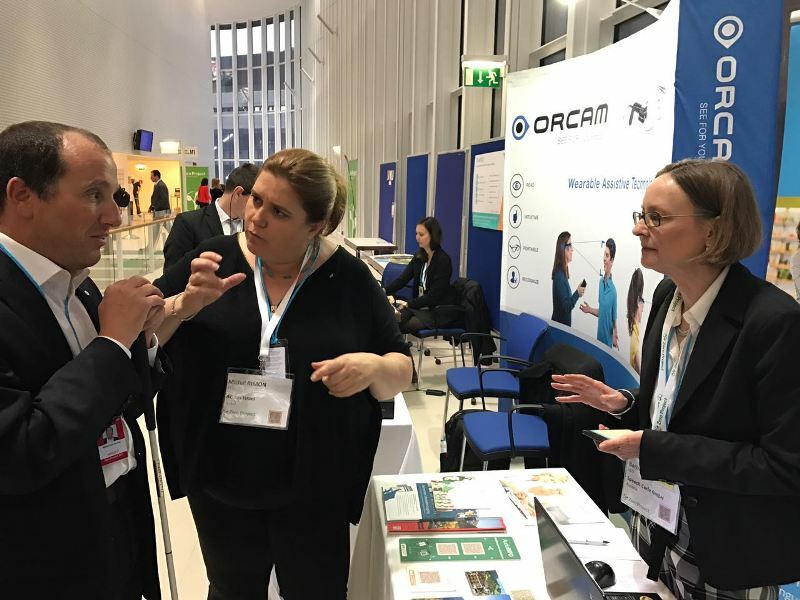 Hundreds of world experts in accessibility and advanced qualityof life technologies meet at the conference, share information, conduct discussions, put forward ideas for further activity and learn about new innovations and the quality of life of persons with disabilities in other countries. Every year the conference focuses research on a specific aspect of the UN Convention on the Rights of Persons with Disabilities and publishes a report on the subject. This year the conference, with attendees from some 100 countries, addressed employment, work and vocational education & training for persons with disabilities, aiming for the ultimate goal: a world without barriers. The conference lasted 3 days, packed with captivating content, innovations and technologies meant to change and improve the life of persons with disabilities worldwide. Experts from many countries were on hand, to teach and to present their experience, to pass it on and thus contribute to making communities more equitable and sensitive to persons with disabilities. This year the cooperation between the two organizations continued and Access Israel participated in the organization of the conference and was a member of the steering committee. Israeli firms and organizations presence at the conference was impressive. 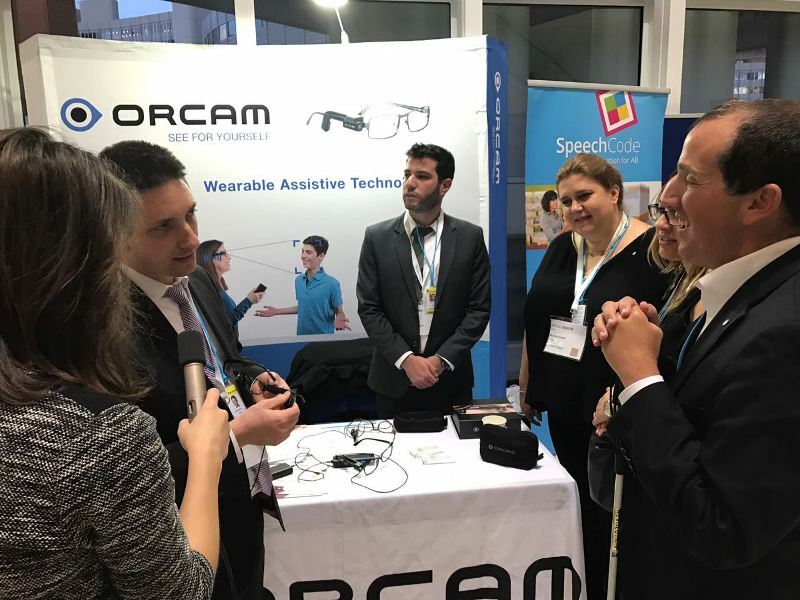 Israeli technologies exhibited, of OrCam, Step-Hear, Mehalev, Sesamy and others, enjoyed ample exposure and impressed many international attendees. 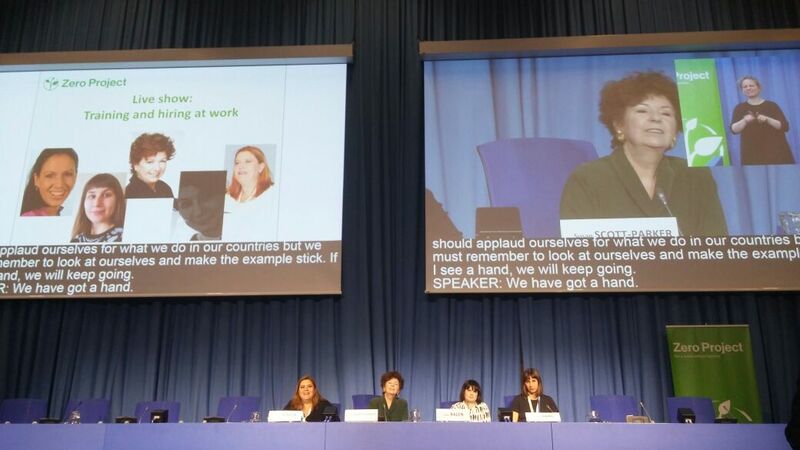 The CEO of Access Israel Association, Ms. Michal Rimon led, at the UN Office in Vienna, a particularly interesting discussion panel, part of the first day’s conference activities. The panel addressed worldwide firms, e.g. Cisco Systems, Microsoft Corp., etc, who specifically employ persons with disabilities, and focused on creation of the appropriate human structure to integrate employment of persons with disabilities in a firm’s processes. In the discussion panel Mr. Or Cohen, Head of Instruction and Training department at Access Israel, presented the association’s vision and approach to the employment environment in Israel, citing significant test cases involving the Weizmann Institute, Meitav Dash and the Accessible Health Zone Project (פרויקט אבן דרך), each one with its unique aspects. Besides the discussion panel, Access Israel played a central role in the conference proceedings on that intensive and productive day that ended with a dinner hosted by the largest bank in Europe. 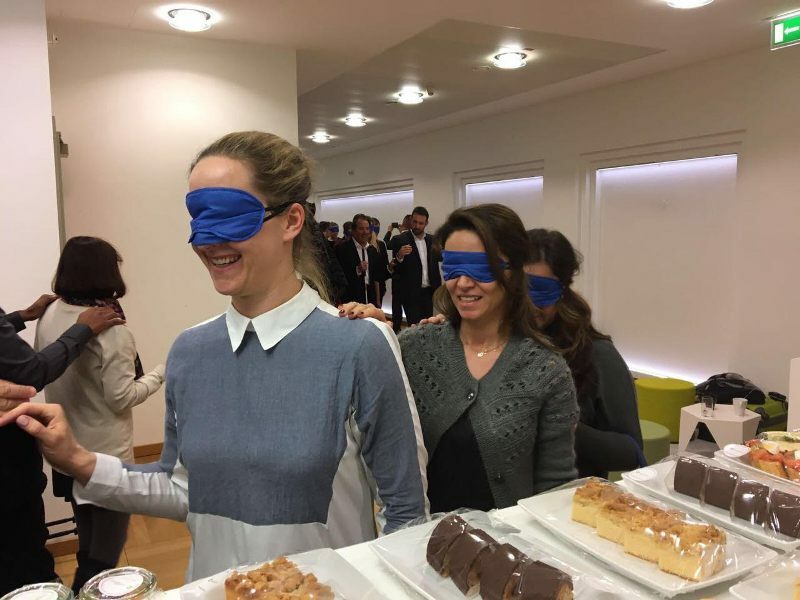 Before the official conference opening, the Access Israel Association hosted, together with the conference organizers, a Cocktail of the Senses for honor invitees. 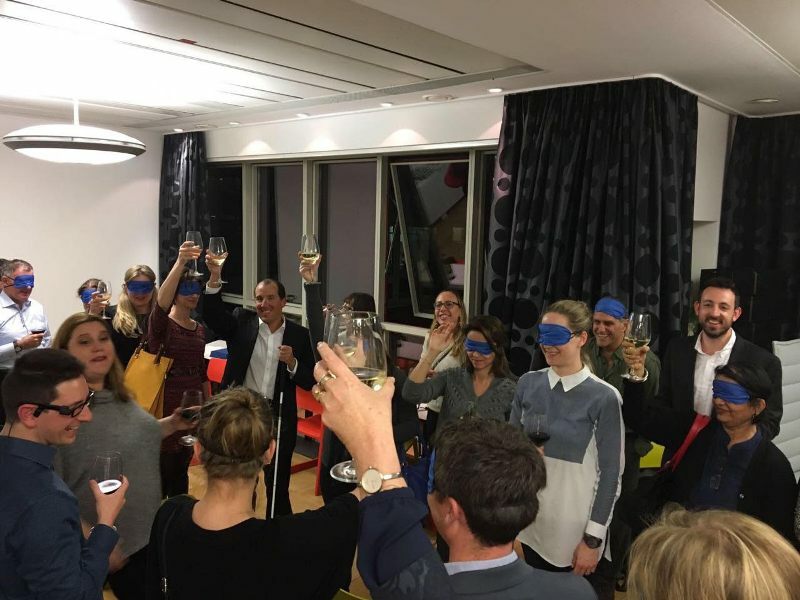 The guests experienced up close and personally the effects of several disabilities, such as blind wine tasting, while also hearing Michigan Supreme Court Justice Richard Bernstein, a blind person, tell his unique life story. They also experienced hearing disability, using special headphones. 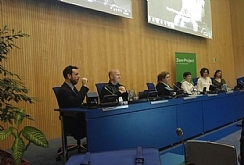 In this they were guided by Naomi Shamir, the Association’s Logistics Administrator, a person with hearing disability, and Sarel Oren Ohana, sign language translator and Head of "pay it forward in sign language" project, which gained exposure at last year’s Zero Project Conference. Finally, the guests consumed cocktail fare wearing special gloves that simulate motor disability. In all, the effect was memorable! Guests at the cocktail played along, and it was obvious that their total experience was significant and moving. During the evening they shared accounts of their personal encounters with lack of accessibility in their own countries, and drew empowerment and useful tips from Access Israel delegates and their individual stories. It was heartwarming to observe the guests lingering on after the cocktail ended, eager for information on the Israeli accessibility solutions presented there and the wide expertise shared by the Association. In pictures: Cocktail of the Senses for the conference honor invitees.